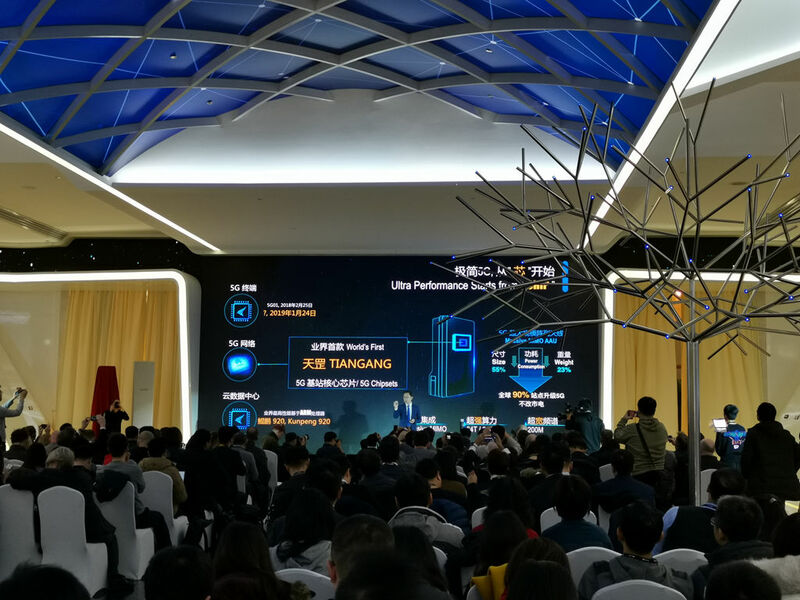 On January 24th (Beijing time), Huawei Released the World's First 5G chipsets TIANGANG in Beijing. 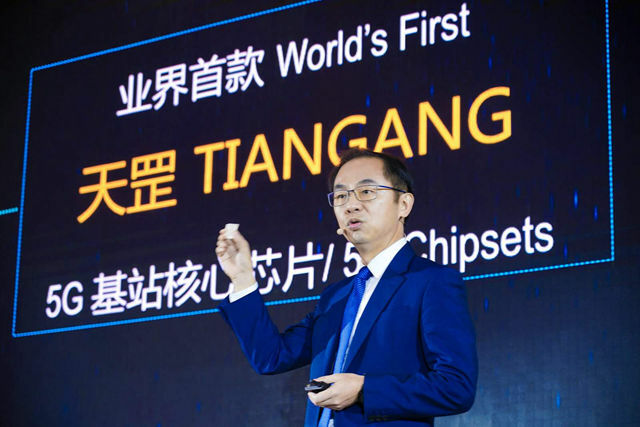 TIANGANG made breakthrough in various fields. It improved the computing power by 2.5 times. A single chip is capable of controlling the industry's highest 64 channels. It is the first and the only chip that is able to support 200M bandwidth, thus meeting the needs of future network deployment in a single step. Such a kind of chip enhanced the performance of base stations drastically: it is able to reduce the size by 55%, decrease the weight by 23%, and lower power consumption by 21%. According to the feedback from practice, 90% base stations were upgraded without renovation of the mains supply. With TIANGANG, the 5G base stations of Huawei also made site acquisition easier, reducing project implementation time by nearly a half.